Say ‘I love you’ this Valentine’s Day in the best way possible—with these carefully chosen, completely covetable luxury gifts for the man or the woman in your life. MAYORS Oval Fancy Yellow Diamond Necklace, in 18K Gold. This stunning piece from MAYORS might be made of yellow diamonds, but it’s going to make everyone (but its wearer, of course) green with envy. 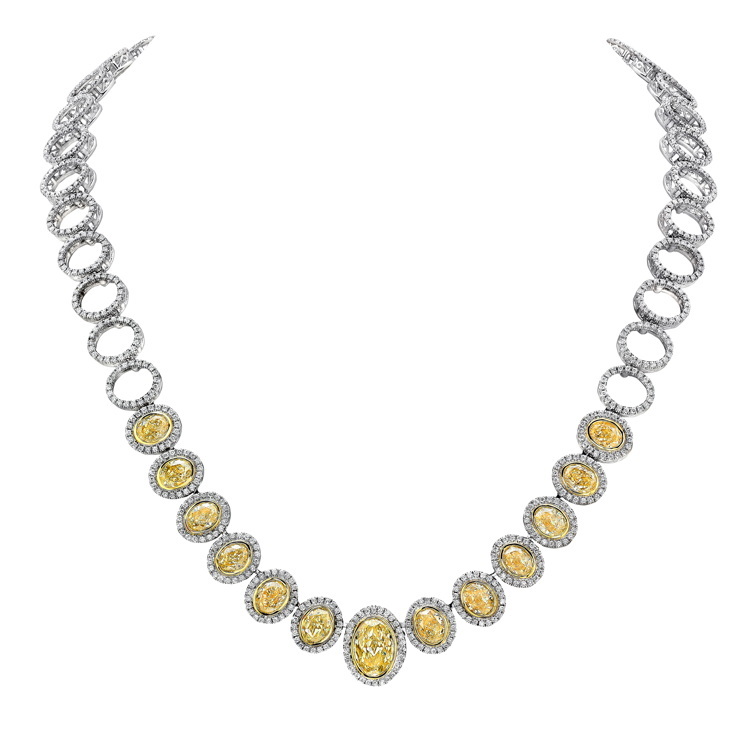 A singular 3.55-carat fancy yellow oval is suspended at the center, surrounded by another 12 additional yellow ovals. Successive frames, comprised of white round diamonds, surround each 18K-bezeled focal stone and repeat on the delicate open lines of the 18K white gold setting. Available at Mayors, $145,870.00. Graff Multi-Shaped Ruby and Diamond Inspired by Twombly Earrings. Echoing the free-flowing lines of artist Cy Twombly, Graff’s Inspired by Twombly collection paints abstract forms in the finest gemstones. 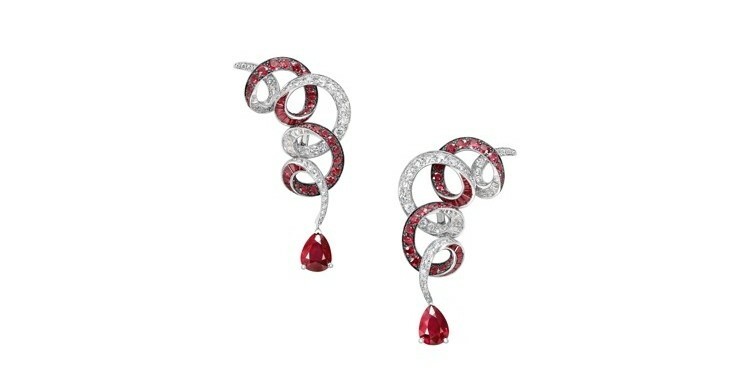 In these elegantly looping earrings, two pear shape rubies are suspended from seamless swirls of rubies and diamonds. These beautiful ear bobs are comprised of 11.92 carats of rubies and 4.27 carats of diamonds. Available at Graff, Price upon request. FENDI Pink Metal Sunglasses. Look at the world through rose-colored glasses this Valentine’s Day, quite literally. This chic pink metal pair from FENDI also comes in a bold, sassy red. Available at FENDI, $500. Photo Credit: Perrier-Jouet Perrier-Jouët Belle Epoque Rosé 2006. 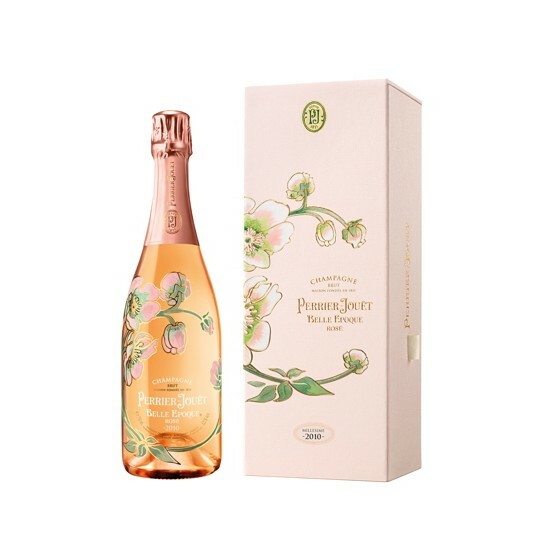 Celebrate your love with this fabulous fizz from Perrier-Jouët, a delicate, yet rich and voluptuous sparkling creation that comes in a stunning, floral-painted bottle. Available for $310. Ladurée à La Folie Collection. Treat your sweetheart to something sweet on Feb. 14 with macarons from French patisserie Ladurée. The heart-shaped macarons taste of lychee and rose, and come in a perfect pink box with a rose in the center. Buyers also have the option of ordering customized macarons emblazoned with ‘je t’ aime.’ Available at Ladurée, $28. 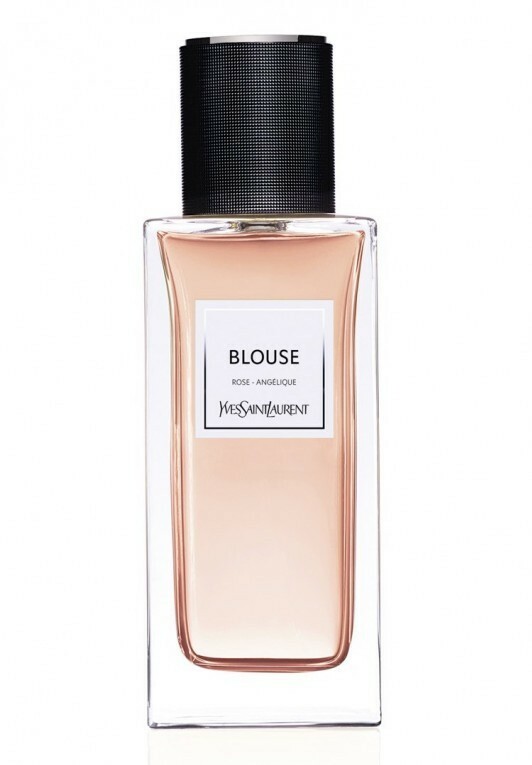 Yves Saint Laurent Le Vestiaire Des Parfums – Blouse. What’s not to love about this elegant perfume courtesy of Maison Yves Saint Laurent, meant to echo the sensation of wearing one of Monsieur Saint Laurent’s sensual and flowing piece silk and chiffon signature creations, the simple, masculine farmer’s smock ‘blouse.’ This heady scent is accented by Damask rose, combined with notes of galbanum and pink peppercorn; Angelica seeds and white musk give a roundness and comfortable sweetness to evoke the silky effect of a couture Blouse on naked skin. Available at YSL Beauty, $270. Pink FF Logo Leather Baguette Handbag. FENDI’s iconic Baguette bag in pink is the perfect accessory for Valentine’s Day. This feminine creation, made of pink lambskin, can be carried by hand or worn cross-body thanks to its handle and shoulder strap, which are both detachable. Available at FENDI, 2,690. Dior’s the Lady Dior Bag. 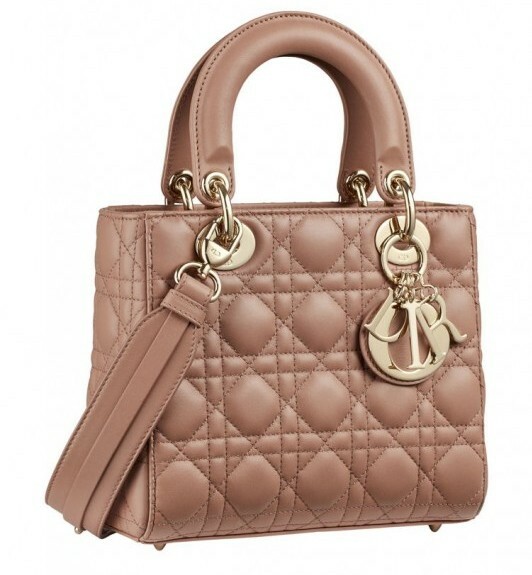 Dior’s iconic bag, the Lady Dior, is jus the gift to get a girl’s heart racing. The architectural bag is made of buttery, soft lambskin topstitched with the iconic Cannage motif, rounded handles and D.i.o.r charms. Available at Dior, $4,450. 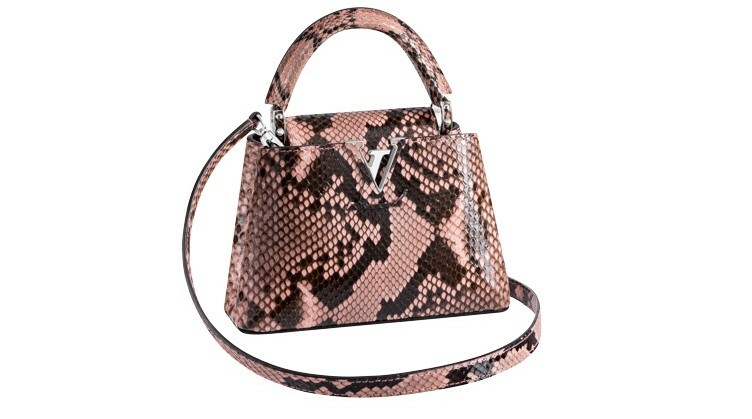 Louis Vuitton Capucines Mini Python Rose Clair. Louis Vuitton’s Capucines bag is a statement piece for the ages. Each bag’s skin is stained and shaded by hand for the most exquisitely nuanced color, giving a completely unique character to each bag. Each bag has LV’s distinctive House details including the LV closure and Monogram flower. Available at Louis Vuitton, $9,100. Venus Et Fleur Le Plein. Roses are the perfect gift—while they last, that is. And the absolutely beautiful blooms from Venus Et Fleur last a very long time: these ‘eternity’ roses from the rose fields of Ecuador literally last a year. 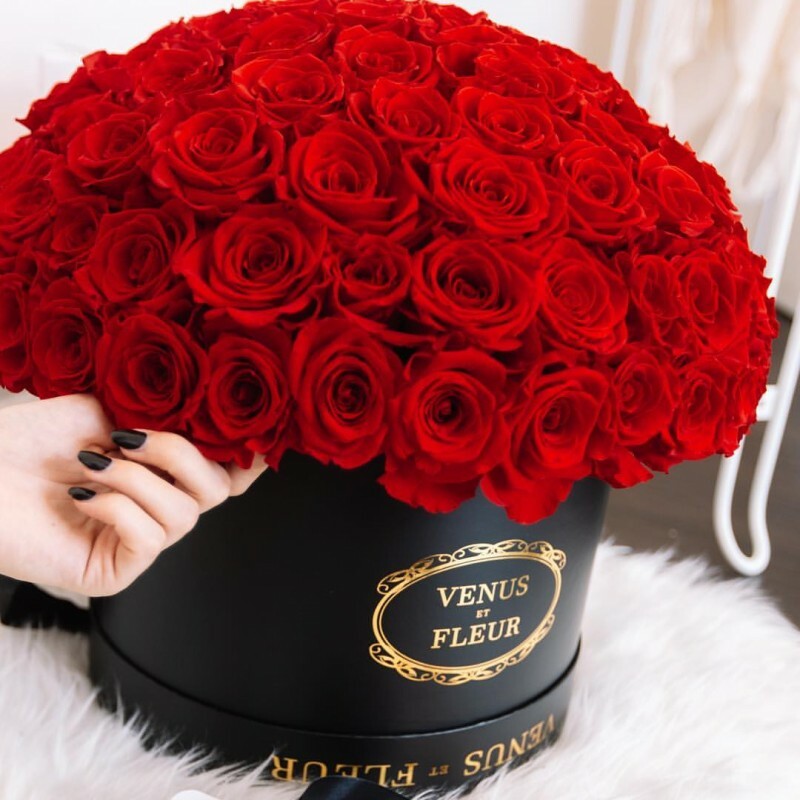 To boot, each arrangement is chic, classic and comes with a cool contemporary twist, featuring metallic, suede, leather, marble, gemstone, glass and heart-shaped creations and designs. Available at Venus Et Fleur, $1,249. Louis Vuitton Perfumed Candles. A fabulously scented home (courtesy of Louis Vuitton) is the perfect way to ring in Valentine’s Day. These beautifully presented candles created by Master Perfumer Jacques Cavallier-Belletrud as part of the Les Parfums Louis Vuitton collection—come in four signature scents: Dehors Il Neige, Ile Blanche, L’Air Du Jardin and Feuilles D’Or. Their packaging is as gorgeous as their scent: the candles come in an elegant, easy-to-carry ceramic pot with a natural-leather handle created by Marc Newson. Available at Louis Vuitton, $185 each. Bond No. 9 New York Lips. Bond No. 9 is a love letter to New York, and it’s also a love letter for it’s wearer. 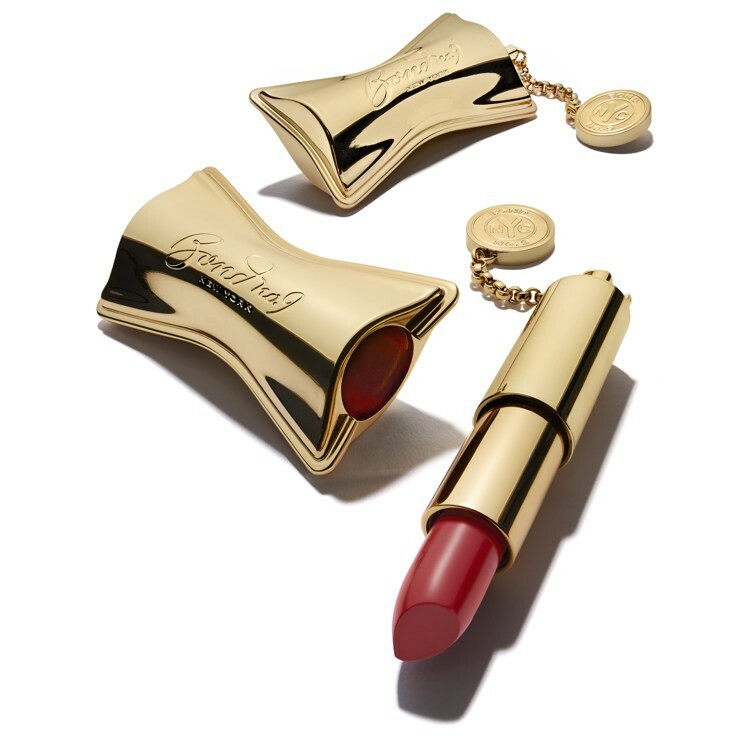 This ‘smart’ lipstick comes in nine iconic New York-centric shades, including Park Avenue, a crisp scarlet; Nolita, a timeless Hollywood red; and Soho, a sophisticated plum. It’s seriously like a super lipstick—vegan and cruelty-free, without parabens. A blend of argan oil, meadowfoam oil, camelina oil, murumuru oil, macadamia seed oil, grape seed oil, olive oil plus plumping squalane and sodium hyaluronate , softening mango butter and shea butter and antioxidants like vitamins C and E leave you with kissable lips all day (and night) long. Available at Bond No. 9; individually for $130, all nine shades for $1,170. Hublot’s Classic Fusion Aerofusion Chronograph Orlinski Red Magic. 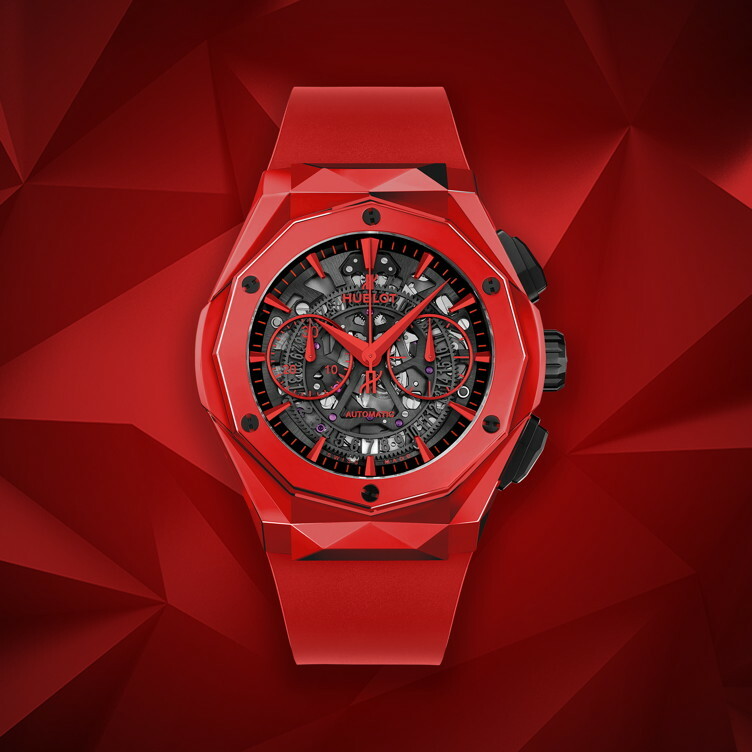 This hot red watch from Swiss timepiece brand Hublot is the ultimate piece of wearable art. The color red pays home to contemporary artist Richard Orlinski‘s first Born Wild Crocodile sculpture, the most recognizable shade in his menagerie. Only 200 pieces were created for this limited edition collection, which has the distinction of being the first ceramic created in a vibrant color Its sapphire case back reveals the HUB1155 self-winding skeleton chronograph movement. Available at Hublot, $24,100. Tateossian Skeleton Pave 18 Karat Rose Gold Cufflinks with Black Diamonds. 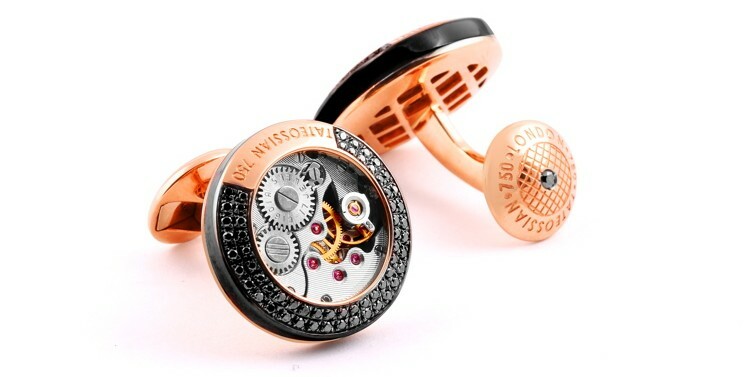 The vintage skeleton watch movement of these unique, luxe cufflinks has been set into a 18K rose gold case exposing its inner workings. The frame of the cufflink features a pave of 122 single cut black diamonds which have been skillfully set into the case. On its side, the cufflink has a thin trim of black rhodium plating running around the frame. Each pair has a limited edition number engraved onto the back. This is a very exclusive piece for a very special gentleman. Available at Tateossian, $9,350. Burberry BE 4277 polarized sunglasses. 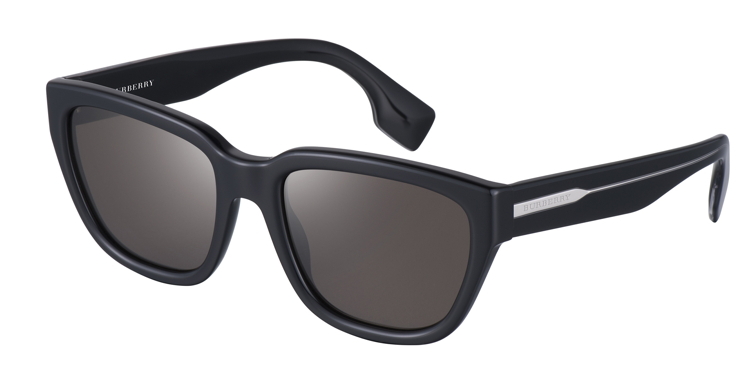 These sharp grey and black polarized lenses in the traditional Wayfarer style from Burberry are the ultimate gift to give the guy who’s too cool for school. Available at Burberry, $310. Tom Ford Private Blend Reserve Collection. If your Valentine likes to smell as stylish as he looks, Tom Ford’s Private Blend Reserve Collection fragrances are as good as it gets. This luxe set brings back eight of Tom Ford’s Favorite Private Blend fragrances, touchstones he presently uses long after they had returned to the reserve vault. These include Velvet Gardenia; Rive d’Ambre; Amber Absolute; Bois Marocain; Jonquille de Nuit; Italian Cypress; Black Violet; and Arabian Wood. 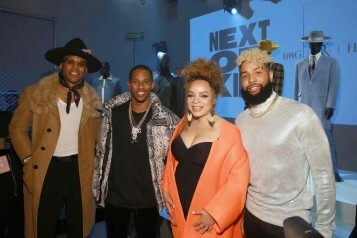 If he’d rather try something new—a new classic, if you will—gift him with Ford’s latest fragrance, Beau de Jour: a fresh, commanding entrance of lavender from Provence, a core of African rosemary and floral green geranium, the leather-like warmth of oakmoss and basil, and a foundation of patchouli and amber. Available at Tom Ford. 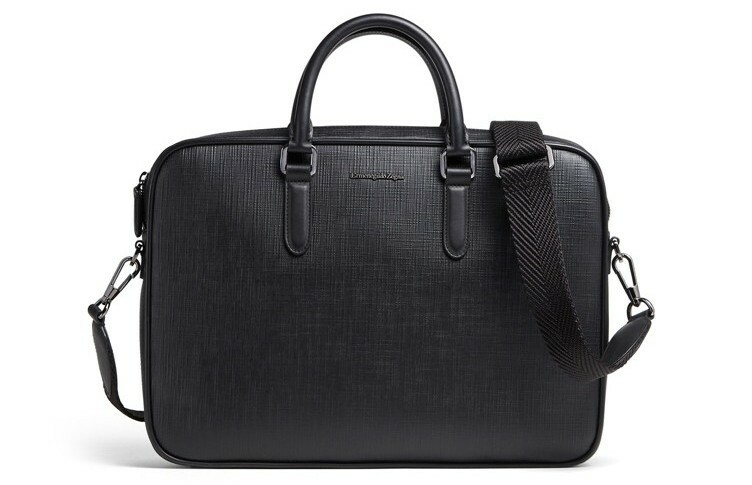 Ermenegildo Zegna Business Bag. This leather briefcase is the perfect Valentine’s Day gift for your most beloved businessman. The sleek lines of this bag, which features a basketweave print, are accented by padded handles and zipper closure. Available at Zegna, $1,595. S.T. 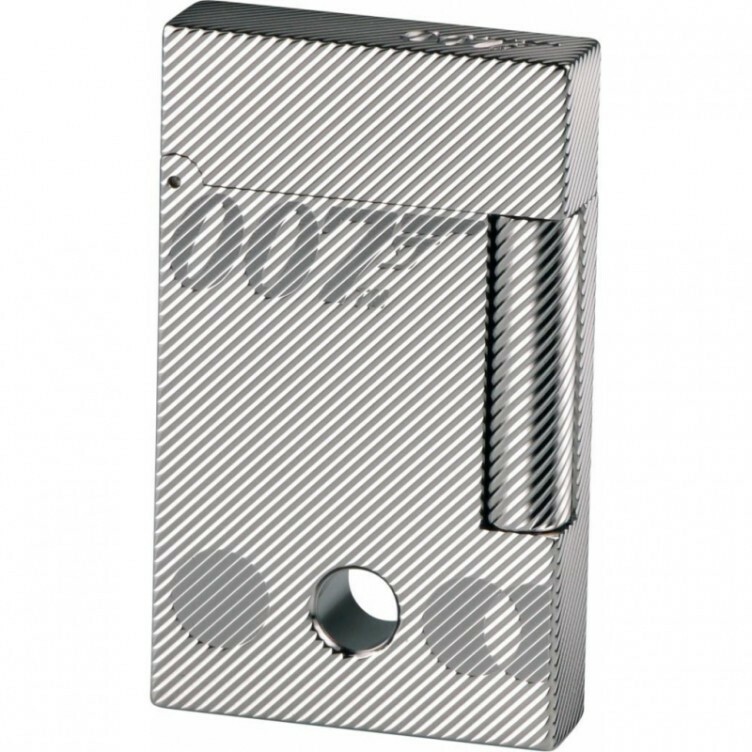 Dupont James Bond 007 Ligne 2 Lighter- Palladium. Few men lead the life of British secret agent James Bond, but let’s be honest—every man is a boy at heart when it comes to 007. Those who share the fictional special agent’s taste for luxury, style and innovative technology can strike up their inner bond with S.T. Dupont’s Ligne 2 lighter in palladium guillochés whose design is based on 007 logo and circles. Get ready to hear a lot of ‘shaken, not stirred.’ Available at S.T. Dupont, $1600. Louis XIII Cognac. 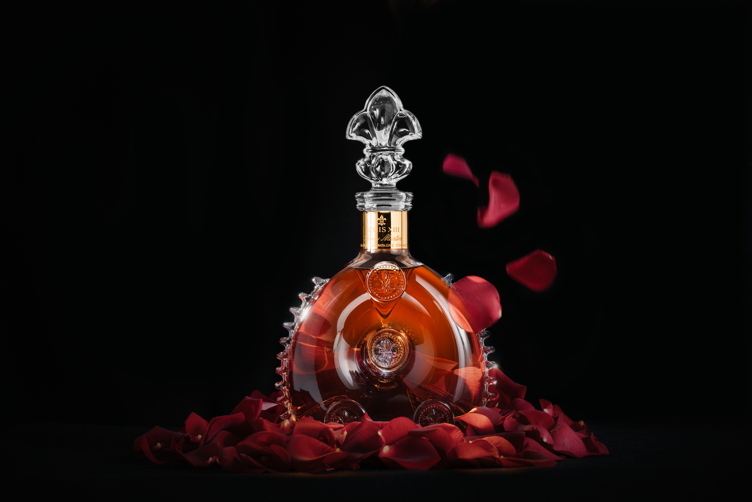 The perfect way to express your love for any true luxury-loving gentleman is to gift him with this legendary Cognac from the prestigious house of Remy Martin, which contains Grande Champagne eaux-de-vie, is aged between 40 and 100 years and is packaged in a gorgeous Baccarat decanter. Available for $3,300. Graf von Faber-Castell Samurai Pen. It’s been said that the pen is mightier than the sword, but in the case of this fabulous gift from Graf von Faber-Castell, it can be both. 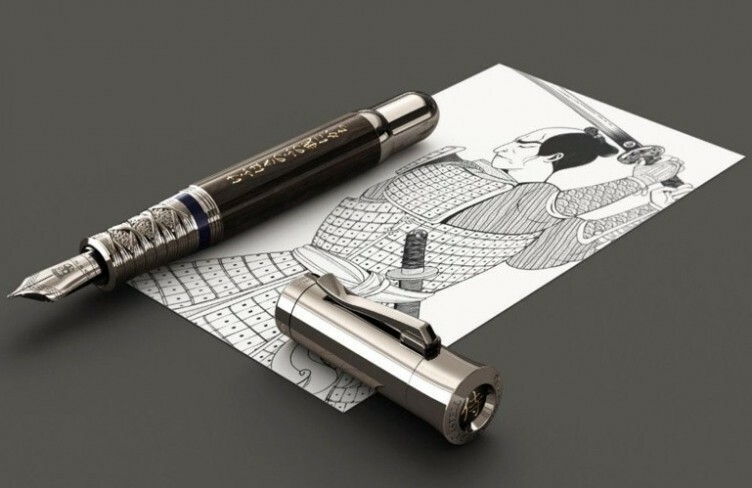 Its Samurai pen pays homage to the great warriors of Japan. The dark barrel, made of stained, painted and polished magnolia wood, is adorned with an engraving of Japanese characters, worked by hand in 24-carat gold varnish. It reads: “Today I win against myself of yesterday”, a quote from the great samurai warrior Miyamoto Musashi. The end cap is also engraved on the face with the symbol created by Musashi for the word “tsuba” (hand guard). The tsuba protects the samurai’s hand while he is using the weapon. The stingray leather with which the samurai covered their swords’ handles and which they decorated with artistic inlays, is recreated in the hand-forged grip of the Pen of the Year 2019. Both caps, the grip and the 18-carat gold nib of the fountain penare coated with ruthenium. Each exclusive writing instrument represents the inner disposition of the samurai to strive for strength, clarity and perfection. The exclusive pen comes in a high-gloss, black wooden case. Each of the unique, individually numbered pens is accompanied by a certificate signed by Count Charles von Faber-Castell, attesting to the authenticity of the limited edition. Available at Graf von Faber-Castell, $3,900. Aerin Shagreen Poker Set. It’s time for your love to ante up this Valentine’s Day with Aerin Lauder’s stylish 300-piece poker set. 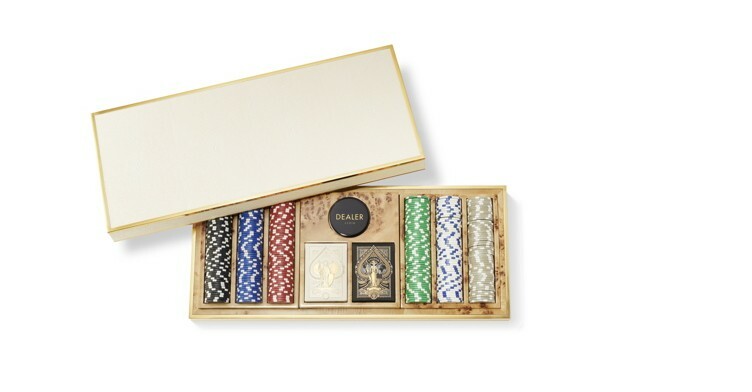 The set—which thanks to its luxurious shagreen case with suede lining and brass hardware, looks as beautiful as a display piece as it does as a play item—includes two decks of playing cards along with an AERIN-embossed dealer button and poker chips. Available at AERIN, $2,500.